Description: Manufacturer of architectural metal roof and wall panels. Offers architects metal panel solutions. Trusted brand for over 45 years. Steel roof and wall products and structural roof and floor deck products. Description: BP Canada offers a wide variety of products for your home. A wide choice of high-quality roofing and wood fiber products. Provides residential, commercial Roofing, and Insulation. Description: Founded in 1904 as General Roofing Manufacturing Company, today, CertainTeed® is North America’s brand of exterior and interior building products, including residential and commercial roofing, siding, fence, decking, railing, trim, insulation, gypsum and ceilings. 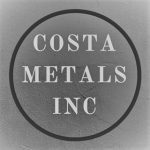 Description: Costa Metals is a producing manufacturer of corrugated metals. They have been supplying the construction industry as well as steel service centers for over 20 years. The panels can be made from any type of metal and can supply just about any color or configuration desired. Key Products -Corrugated Metal Roof Panels, Rusty / Rusted Metal Roofing, Trim/Flashing, Corrugated Metal Siding, Decorative Metal Fence, Corrugated Fencing, Corrugated Metal Fence Panels, Metal Draft Curtains. Description: DECRA Roofing Systems has over fifty years of experience manufacturing and marketing stone coated steel roofing systems. Description: DERBIGUM is a global manufacturer of Modified Bitumen roofing systems. They have over 35 years of experience in the United States, and over 40 years worldwide and in all climatic conditions providing long term waterproofing service. Description: Durapax specializes in coal tar roofing systems “built up” with multiple layers of coal tar coated glass felts or coal tar organic felts and hot mopped coal tar roofing pitch, finished with a coal tar flood coat and gravel. Description: Duro-Last manufactures a custom-fabricated, single-ply commercial roofing system for any flat or low-sloped application. Description: Eagle Roofing Products is a division of Burlingame Industries, a California based privately held, family-owned organization that has been in the concrete tile industry for over 40 years. Eagle is an American made and American owned company providing concrete roof tile solutions for the building industry. Video: EAGLE Roofing Products – Concrete Roof Tile Manufacturer. Description: Evergreen Roofing of Oregon provides quality and cost-effect roofing solutions. Providing residential and commercial solutions to the customers over 25 years. Types of materials – Single-Ply roof membrane roofing, Metal Roofing, Composition Shingle Roofing, Wood Shake & Wood Shingle Roofing, Tile & Slate Roofing, Built-up Roofing. Copyright © 2018 NRCIA, All Rights Reserved.